“a Lamp to my feet. a Light for my path.” – Luke 18:1 | A LAMP TO MY FEET. A LIGHT FOR MY PATH. Jesus wants us to persevere in prayer and to do so with confidence and faith. God, who is infinitely just, and who is our Father, listens to the persevering prayer of His children and never fails to respond justly if they persist in seeking His help. They should always pray and never give up. 1. We must pray first and foremost because we are believers. Prayer is in fact the recognition of our limitation and our dependence: we come from God, we belong to God and we return to God! We cannot, therefore, but abandon ourselves to Him, our Creator and Lord, with full and complete confidence […]. Prayer, therefore, is first of all an act of intelligence, a feeling of humility and gratitude, an attitude of trust and abandonment to Him who gave us life out of love. 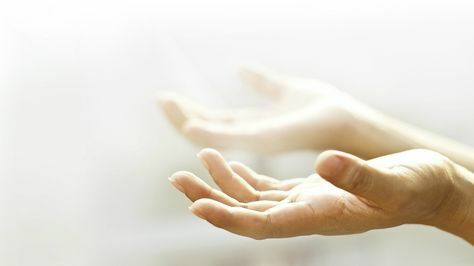 Prayer is a mysterious but real dialogue with God, a dialogue of confidence and love. he is one who really believes that Jesus is the Word Incarnate, the Son of God who came among us on this earth. and handed down by means of the Holy Mass throughout the centuries. it is He who prays in us, with us, for us. All those who believe in God, pray; but the Christian prays in Jesus Christ: Christ is our prayer! 3. Finally, we must pray because we are frail and guilty. in continual need of inner strength and consolation. Prayer gives the strength for great ideas, to maintain faith, charity, purity and generosity. Prayer gives the courage to emerge from indifference and guilt, if unfortunately one has yielded to temptation and weakness. Prayer gives light to see and consider the events of one’s own life and of history in the salvific perspective of God and eternity. Therefore, do not stop praying! Let not a day pass without your having prayed a little! Prayer is a duty, but it is also a great joy, because it is a dialogue with God through Jesus Christ! Jesus, teach me how to pray. Draw me close to You, Lord, and lead me into prayer. Take over my heart and mind and place my focus on You. Increase my faith and help me persevere and stay firm in love and truth. Lord Jesus, I love You and I trust in You!